Gilley’s Offers 12, 24, 36, 48, 60, 72 and additional monthly term financing! Financing with Service Finance Company, LLC is an easy and convenient way to pay for your air conditioning and heating purchases. They offer a quick credit decision and convenient monthly payments. *Service Finance Company, LLC is an FH-FA Compliant lender. 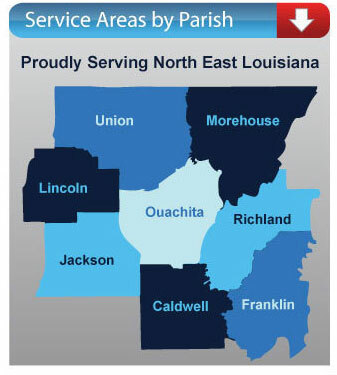 Call 318-325-3250 today if you have any questions or Click Here to schedule a free in-home estimate.